If you thought gold was reserved solely for your jewelry collection, think again, because it also plays a major part in the world of luxury skincare. For thousands of years, gold has been a sign of wealth and prestige, a symbol of the sun used only by royals and nobility. Its powers were believed to be so strong that it’s said Cleopatra slept in a mask of pure gold to keep her looking young and beautiful, while in Ancient Rome it was used to treat various skin ailments causing swelling or discomfort. It was also prevalent in Ancient Chinese medicine, where drinking precious substances was believed to preserve youth and increase longevity. It’s even said that monarchs would massage gold rollers over their face to preserve their youthful complexion. 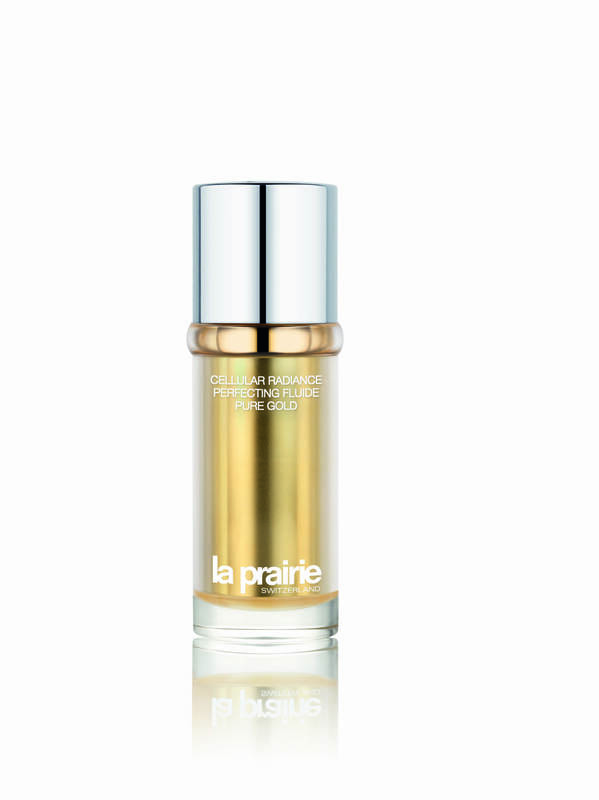 It would seem our ancestors were on to something, as gold is making one almighty comeback in the world of skincare, and with La Prairie’s brand new ‘Cellular Radiance Perfecting Fluide Pure Gold’ (on counters today), your skin will be totally transformed. Containing golden peptides and pure gold extracts, it helps boost the skin’s radiance from deep inside whilst smoothing the surface to help reflect light and give you that golden glow. It also contains extracts from the lotus japonicas plant, which helps skin defend itself against external aggressors and helps to lighten and even skin tone. Extracts from the stem cells of other powerful plants provide potent antioxidant and anti-aging action. Forget the silver and ditch the bronze, because right now we’re going for gold. Thumbnail photo courtesy of Pinterest.